Schwervon! 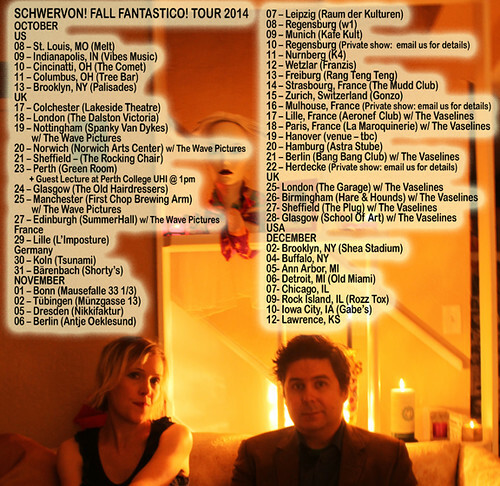 Fall Fantastico Tour 2014 | Schwervon! We are looking forward to seeing you. Stay tuned to the show page for the latest details about venues and support acts. This entry was posted in Uncategorized and tagged Schwervon! Band, Schwervon! Fantastico, Schwervon! tour, The Vaselines, The Wave Pictures. Bookmark the permalink.